For prices on larger quantities, please contact our Sales Office. 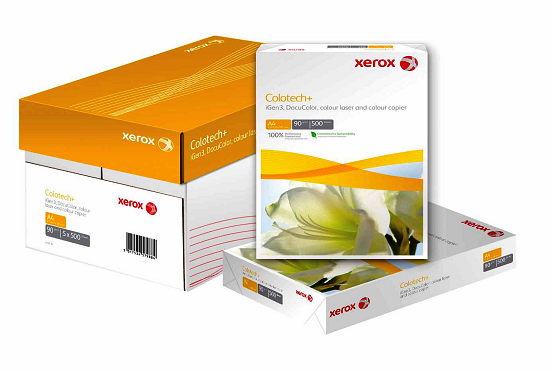 BookmarkDirect are authorised resellers for the Xerox Colotech Plus paper, the benchmark paper for digital colour printing. Xerox Colotech Plus is an uncoated paper. Its high white super-smooth finish enhances the brilliance and contrast of text and images on all digital colour documents, producing high quality printing with all digital colour printers and presses. Minimum order: 1 carton (A4, A3, SRA3). 1 pack (SRA2, iGEN).